Advantage Garden Services & Pest Control was founded by Andy Webster in 1999. Andy’s qualifications and training include two years at Reaseheath College, Nantwich, Cheshire, where he studied Golf & Sportsturf Management (HND). His expertise around cricket pitches includes a City & Guilds qualification in Renovation and Maintenance which is recognised by both the England and Wales Cricket Board (ECB) and the Institute of Groundsmanship (IOG ). He is also licensed (PA1 & PA6 Certificate of Competence) for all current commercially available pesticides including Killgerm Chemicals Ltd, and has qualifications in rodent, vertebrate and mole control and the safe use of air weapons. Andy has always been a keen gardener and began by looking after elderly relatives’ gardens. With a keen eye and green fingers, he quickly built up a reputation for superior quality and workmanship together with excellent customer service. 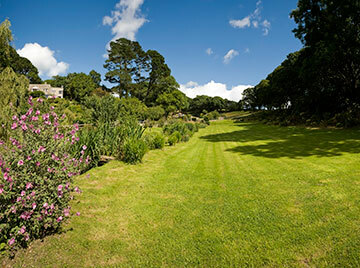 Now with 20 years' experience, his multi-skilled team provides both specialist Garden Landscaping and Maintenance and Pest Control Services within one company. Advantage has a three-strong team of enthusiastic, multi-skilled specialists, including a BSc (Hons) qualified Landscape Designer to enable the company to provide its customers with the right team for the job, which in turn provides excellent quality and value for money.